Getting our kids to do their chores or other necessary tasks and behavior is a constant battle in our house. We’ve tried incentives (really good ones), threats, and the “do this before that” approach. It all takes energy and planning on our part and lots of cooperation from them. And guess what? I don’t always have energy and there are times when I don’t actually plan (yes, Husband, not many but a few). But what if the rewards we’re offering won’t work for some chores and behavior just because? Why do some incentives work some of the time and not others? What if we’re approaching this whole thing the wrong way because the rewards we think motivate kids actually don’t motivate them all? A brief story: Last Sunday I asked Daughter and Son to clean up the playroom before bed. I mentioned it a couple of times during the afternoon to set their expectations: this is what you’ll need to do before bed. I knew I faced an uphill battle for cooperation. Bedtime is not much of a motivator for a chore and I forgot to sneak it in as a condition of Madden 13 earlier in the day. Her eyes lit up so I continued. “No cheating but think about it, you could end up with a nice handful of M&Ms to eat.” That did it – “handful” sealed the deal. This approach worked last fall when I asked the kids to help clean up the yard after Hurricane Sandy. For some reason, I thought they’d buy into the fresh air and exercise rationale but it took a penny a stick to make some progress. Son took on most of the work and earned a few dollars. The room was spotless. Like, cleaner than it’s been in awhile. “You can have two,” she said. Nice, she had so many, she was willing to share. Son came upstairs and believe it or not, she gave him half of her take even though he hadn’t lifted a finger. Wow, results and generosity all in one evening. Afterwards, I pondered how well my tactic had worked and how great the results had been. 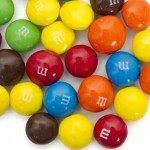 Why doesn’t the simple M&M reward work for other types of desirable behavior? Why are there some chores, tasks, and behaviors that no rewards, no matter how great, won’t inspire kids to achieve? And I recalled a bestselling business book, Drive, by Daniel Pink. There’s a great, fun video that handily sums up the book’s content. Basically, research on MIT students and Indian office workers found that financial rewards only work for simple, straightforward tasks (like assembling widgets and picking up the playroom). But when people were offered greater rewards for greater challenges, their performance actually declined. Yes, higher incentives led to worse performance. The autonomy factor in parenting is a big one. “I hate mashed potatoes!” is less about the potatoes and more about being told to eat them. The same for cleaning your room, taking a bath, and brushing teeth. Self-direction or the ability to choose what you do and when you do it, is a powerful motivator. Nobody wants the boss who both assigns the task and tells you how to do it. So how do we translate that to kids? By finding ways to request and empower. This worked for me when Son wanted to start wearing gym shorts to school at age six. At first, I balked. After all, I’d had a fair amount of control in how he looked until then. Suddenly, he wanted to wear something that didn’t look all neat and nice and how I thought he should look. But in winter? When it snows? “Not after November 1st,” I declared. But then we had mild winter days. “Not when it snows.” He’d push to wear them just because. The control thing. The result? He usually makes the same call I would. The difference lies in his ability (or disguised responsibility) to choose when to wear pants. Mastery is the best motivator for sports, hobbies, talents and education. It’s the reason why Son shoots baskets all afternoon and Daughter parks herself at the piano. There’s a fine line between parental insistence on practice time and letting our kids practice from their own desire to improve. But most of us have an innate desire to master things we love to do. When children want to master something as well as contribute (to the team, to the recital, to the class), purpose helps motivate them. And the greater purpose of helping the team win, getting an A, pleasing the teacher, etc. are powerful motivators. The winning combination is letting children choose how to do something they want to get better at for a strong purpose. Or spotting opportunities to foster any of these motivators for a specific task or goal. Chore charts and M&Ms have their place for really young children and mundane tasks. But I’m trying to remember that it often helps to let them own the decision for better or worse. Like taking a quick step outside in your PJs to determine when it’s time to put some pants on.